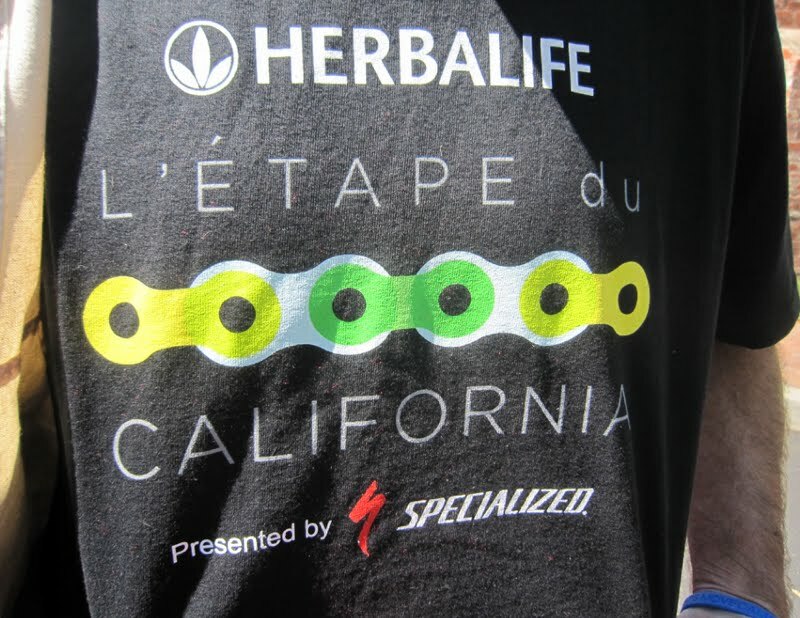 How to organize a professional cycling team at a race. Check this out - I thought this was interesting. 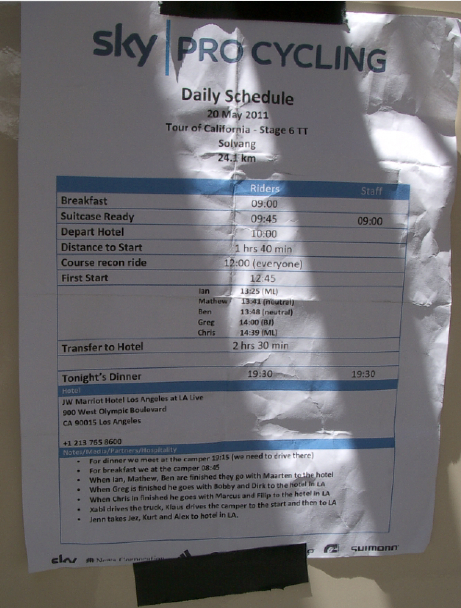 This time schedule for the time trial stage was taped to the Team Sky bus at the Tour of California. This is how the day unfolds for a bike racer on race day. 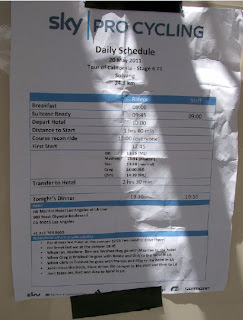 A well organized plan to get all the riders, drivers, bikes, team cars, trucks, and campers to the next hotel. If you look around at a stage start you'll notice all kinds of interesting things. We got a good laugh at this notice in the store of the local small town bookstore where Davis Phinney was scheduled for a book signing to promote his latest book (The Happiness of Pursuit). Taylor Phinney's mother, who obviously still schedules for him, said he could go too "if he's not too exhausted." Funny. I then saw a man wearing this L' Etape du California tshirt that morning in Solvang, CA (my brother who completed the Etape was wearing the same shirt), so I said to the man with a smile, "nice shirt, did you die too?" "I died very slowly," he said in all honesty. My brother and sister-in-law were at the Start of the Criterium Dauphine this morning in Pontcharra, France. They said they have new pictures of the Tour Hag (Suz) with Basso, Matt Busche, Sanchez, Danny Pate, Juan Antonio Flescha, Brajkovic, Vino(-1 pt), Wiggo (+1 pt). And they were able to chat with DZ and Busche and Jani. Plus they took 100+ pictures for this blog. I can't wait to see them!